It’s great to see the increasing adoption of certificate pinning in Android apps. When I run into an app that throws connection errors while attempting to proxy requests, I tend to become more interested in diving deeper. 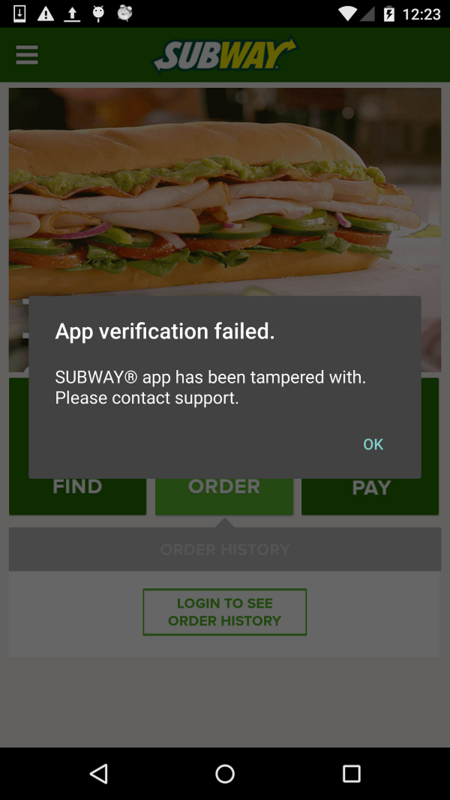 Such was the case when I recently used the Subway app. Reversing the APK revealed cert pinning among some other interesting findings. This was an interesting attempt at preventing reverse engineering, though it actually only caused a slight delay. In order to bypass this process, I simply added a line to skip the method’s execution by adding another return-void line, similar to the pinning bypass process above. During my research, I stumbled on this Reddit post. 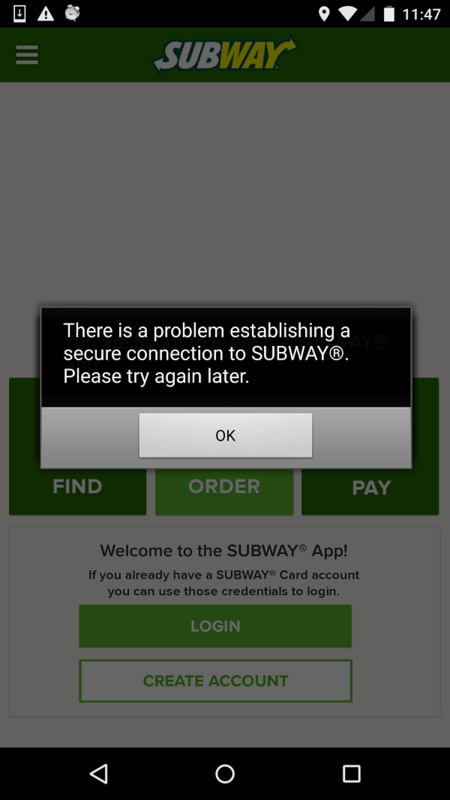 Apparently, Subway was also determining whether the user’s device had been rooted. I searched around in the source and confirmed mentions of root detection methods. This is a great example of an app taking security very seriously, but I’m not quite sure of the reasoning behind the root checking process. Though certificate pinning and signature verification techniques are generally a good idea, they only slightly impede the reverse engineering process.